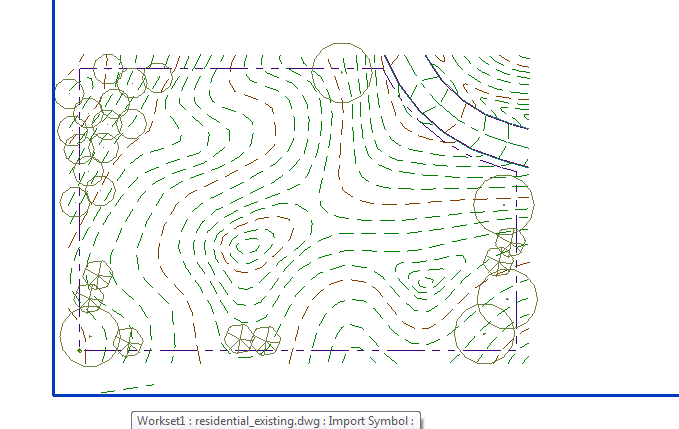 In general, Revit interacts pretty well with AutoCAD .dwg files. Things can start to get a little strange when dealing with large survey and site files, but there are workflows that will keep your Revit file and CAD links manageable (be sure to establish coordinates). AutoCAD Civil 3D files, however, are an entirely different matter. 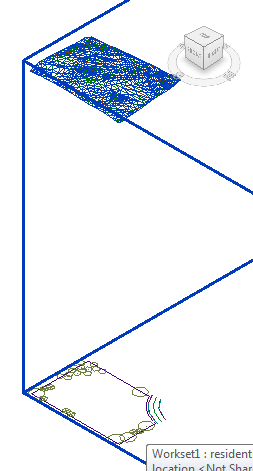 In the past, I have noticed that sometimes certain survey dwg files would seem to split into two pieces when brought into Revit. 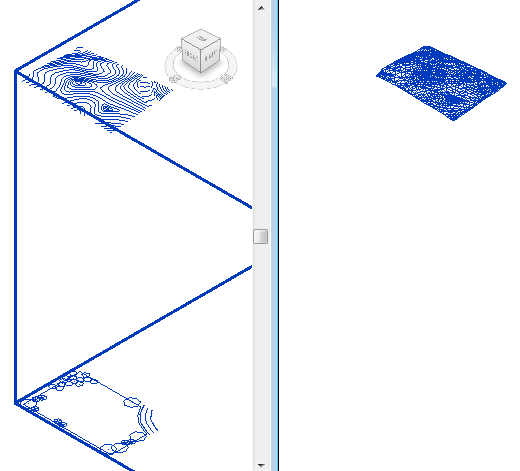 Here is an example, where the regular AutoCAD contours and the C3D TINN have split into opposite corners of the current cad link. Even though they are both at the correct z elevation, they are in entirely different x, y locations. It can be difficult to notice at first, because they will be miles apart, but when you hover over the link, the blue bounding box will extend much larger than it should. The left image is an unsplit link, while the middle and right are two halves of the same link (in plan). What seems to be happening is that all of the 3D data (TINNs and COGO points) from Civil 3D “splits off” (for lack of a better term) and is locating within Revit as if the regular AutoCAD linework is at the actual origin. This is strange behavior that might be related to the fact that regular AutoCAD files (that are larger than 20 miles) will “forget” their origin once in Revit. And it seems as if the C3D data, unlike the regular data, does not. It can be a tricky issue to spot, because when you initially link in the dwg file, everything will appear fine (the TINN is aligned in plan and the bounding box edges are all visible). 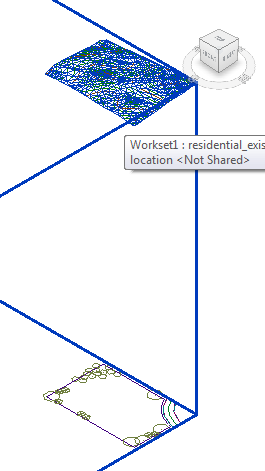 But after the dwg file is opened and saved in Civil 3D and then reloaded within Revit, the dwg link has now “split.” It is interesting to note that it is the regular linework that seems to “jump” while the TINN has remained near the Project Base Point. There are two options for dealing with issue, depending on how much Civil 3D data the file has and how important it is to keep. 1. Explode the C3D data. This might be the best option if there is limited data (such as just a TINN) to explode. 2. 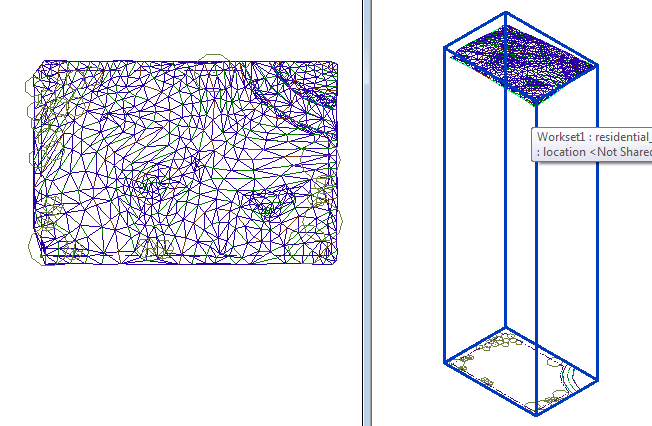 Create two instances of the C3D dwg file. To do this, simply copy it and move the second copy so that the C3D data overlays correctly on the first. This is usually the preferable option since it keeps the C3D data intact. However, you should be aware that this results in duplicate “false” data off in space, which can be confusing or problematic if a user finds this and starts working with it. Finally, it seems like this issue only exists when the file has been recently saved within Civil 3D. But it also seems somewhat inconsistent, with various results depending on what AutoCAD it was saved in prior to being linked or reloaded. It also seems that once the link “splits” the only way to get the link to realign is to remove it entirely and start with a new link (even if the C3D data is exploded, it will remain “split”). 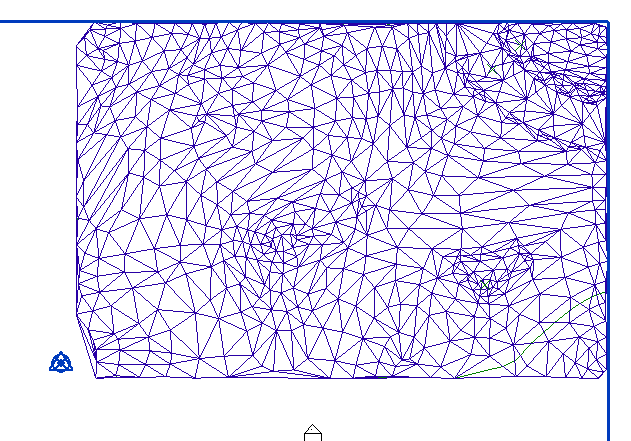 I would be interested to know if anyone else has encountered this issue in Revit. I have not found any indication of this elsewhere, but then again, no one else seems to be posting much about sites or landscapes in Revit. ← Quick Poll: Revit Training Courses? 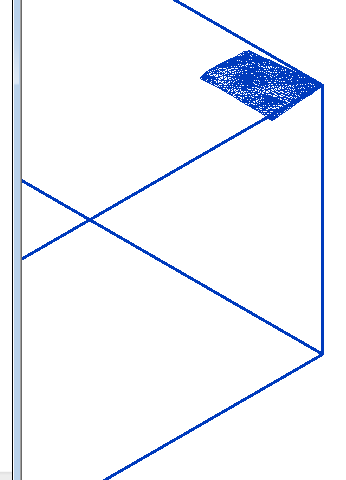 I’m not a Revit user (yet) but I’ve seen this splitting effect in AutoCAD when receiving files from civil engineers using Civil 3D. The base information is at elevation 0 and the contours and TIN are at real world elevations which is often a 1000 feet or so above the base. We always flatten the file before using it so that everything is at elevation 0. 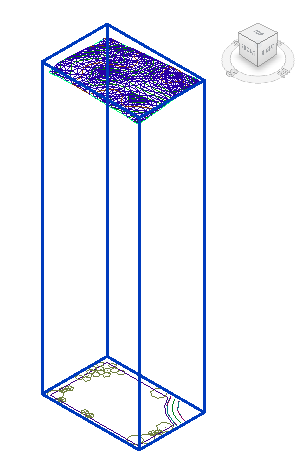 This probably won’t work for Revit though, since you probably want real world elevations for everything in 3D. You could request that the engineer project the base info onto the proposed surface which would make everything 3D. I believe Civil 3D will do that but I don’t believe most engineers work that way on their end. The effect I am describing is actually a splitting than can be seen in plan. It is hard to show, since they are so far away from each other, but the split is happening in the x and y axis only (not the z axis). Perhaps, I should clarify in the post. That would be different from what I described and it wasn’t clear from the illustration. Thank you for clarifying the issue. Yeah, I realize that now. I’ll need to incorporate a few more images, I think. Thanks for the feedback. The whole workflow of C3D to Revit (or C3D to any BIM application) is deeply flawed. Autodesk have just ignored civils and landscape as far as their BIM solutions are concerned. It’s like they’ve got their heads in the sand. I’m also having this issue. I’ve asked my Civil Engineer if they have any workflows for this on their end, will report if I get something useful. Thanks, Conor. There is a possibility that there are some Civil 3D settings causing this issue, though I suspect it has more to do with Revit. AutoCAD 2016, which Civil 3D is built upon, has the capability to import Navisworks models. Would this help in any way? 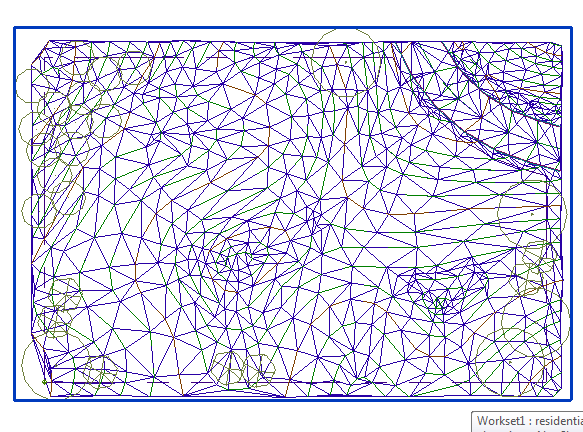 From what I can tell it seems to be a Revit issue, so I’m not sure if Navisworks would help.